Why Doesn’t Every Realtor in the Country Know About This? HUD's Older Buyer Assistance Program is Changing Retirement Relocation. So Why do So Few Know It Exists? As always, the views and opinions expressed on this web site are solely those of the original authors and other contributors. These views and opinions do not necessarily represent those of the HECM Advisors Group, staff, and/or any/all contributors to this site. On January 1, 2009 HUD introduced a truly unique new program that makes it much easier for people over 62 years of age to purchase a new residence… but very few people seem to know much if anything about it. I called two-dozen Realtors, randomly selected from around the country and none of them were familiar with the relatively new program. None of the seniors I asked knew anything about it either. And I also contacted various professionals whose clients are often seniors, like CPAs, estate planning lawyers and foreclosure defense attorneys, and none that I spoke with knew anything about it as well. Now, it’s no secret that at some point many seniors want to downsize, some want to move closer to family and friends after they retire, and others want to move into senior living communities, but whatever the reason, you might say that the new program makes it at least 50 percent easier for those over 62 to make their next move. I had to wonder why, at a minimum, every Realtor in the country wouldn’t know about this program? I made me think of what happened to me a few months ago when, one morning I walked out of my front door heading for my car and found myself greeted by a local Realtor who was apparently about to ring my doorbell. He asked me if we were thinking about selling our home. Consider the following example of how HUD’s new program works. Here’s a true story about a 64 year-old woman who called me a little over a month ago. Her income had dropped dramatically, and was now only $2700 a month, and her current loan balance included a $300,000 first mortgage and a $250,000 second… for a total indebtedness of $550,000. Her loans were with Bank of America, so she was calling me to see if I could help her get her loan modified, and while it’s certainly true that I can often help homeowners when they’re struggling with Bank of America loan modifications, I can only do so when they have enough income to make a modified payment, and in this instance, there was no way that would be the case. Just so everyone understands, if you have a $550,000 loan balance, you need at least $7,000 a month in income to qualify… and $7,500 would be better. So, her $2,700 was nowhere close, and when I told her that, she became very upset. She wanted to know if I could ask Bank of America to write down her second mortgage to make it more affordable, but the problem was that her home appraised for $950,000… so, I had to explain why the bank would surely say: Sell the home if you can’t afford it. She didn’t like that answer at all, but what else could I possibly say or do? Then, for whatever unknown reason, I remembered HUD’s new older-buyer assistance program, so I told her to hold on for a minute, and went to look up the details. Sure enough, it sounded like a perfect answer to a bad situation. 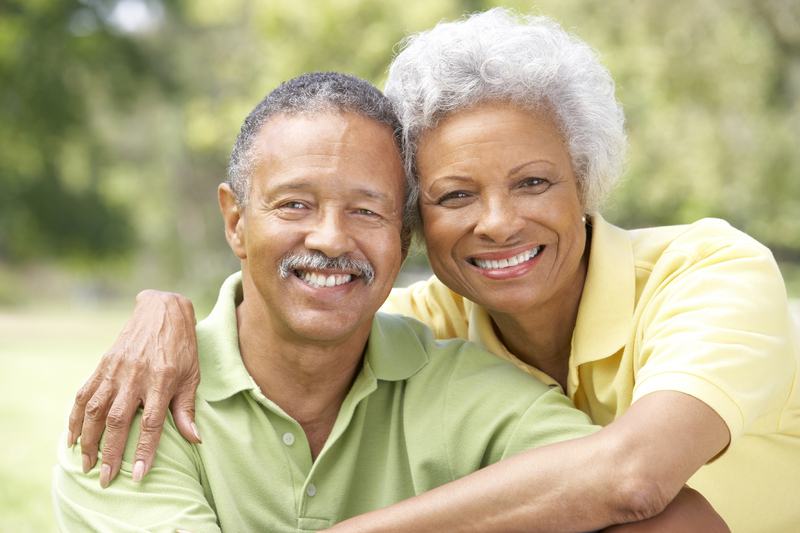 To qualify for HUD’s new program, you have to be at least 62 years of age and have enough equity in your current home to provide you with a 25 – 50 percent down payment on your next home, depending on your age, and the older you are the less you need to put down. At 64, she had plenty of equity in her home to make it work. Plus, even though she was late on her mortgage, to qualify for the new HUD program your FICO score doesn’t matter and neither does your income… as long as you make enough to cover your property taxes, insurance and regular maintenance… you qualify. So, the bottom-line was that the woman who called me would go from owing $550,000, and facing certain foreclosure soon… to having roughly 50 percent equity in her new $625,500 home. Her FICO score, which had gotten pretty beat up when her income dropped, didn’t matter… and neither did her income. She would qualify for HUD’s relatively new program for older buyers. Yes, you read that correctly… there would be NO MANDATORY MONTHLY PAYMENT for the life of the loan… go ahead and read it again… the woman who called me would NEVER BE REQUIRED to make a monthly mortgage payment. In this particular case, the woman I was speaking with was about to start a new business. She’d been successful before, but had lost everything as a result of the economic meltdown, so there’s no reason to believe she won’t be successful again. And, by buying her new home thought HUD’s new program for older-buyers, when she starts making more money again, she can decide what type of mortgage payments she wants to make, or if she wants to make mortgage payments at all. For example, even though interest only loans aren’t around anymore, with this program, she can decide to make interest only payments… so she can create her very own interest only loan. Or she can decide to make principal and interest payments, and she can create her own amortization schedule. She could decide she wanted to pay it off in 15 years, or 30 years… or 12, 16, 27… any number of years she chooses. She can even create her own balloon payment, and then change any of the choices she’s made at any time. Of course, if she chose to make no payments for the life of the loan, and she lived for 35 years… until she turned 100… the amount of equity she’d have at the end of her life would depend on interest rates over the next 35 years, and how much her home appreciated over those years. No one knows what will happen to interest rates over 35 years, but consider that the average increase in home values in this country between the years 1900 – 2012, was 4 percent annually, so if that average rate of appreciation held up for the next 35 years, her $625,500 home would be worth $2,468.279 when she turned 100. There are a number of other important rules that apply. For example, it has to be the borrower’s primary residence we’re talking about. The property must comply with FHA’s minimum property requirements, and the seller of the property must complete any major home repairs before the loan can close. Basically, the difference between the purchase price of the home and the amount approved under the program are to be paid in cash from the sale of an existing home or another source of eligible funds, so for example, gift funds may be used as a form of down payment, within certain guidelines. The home being purchased will be occupied within 60 days of closing. And property types such as single-family homes. FHA approved condominiums, 1-4 units when the borrower live in one of them, and even manufactured homes can be purchased using HUD’s new older-buyer assistance program. There are other rules as well, but the one to remember is that any balance due on the loan doesn’t become payable until after the death of both spouses, assuming there were two, or when the property is no longer the homeowner’s primary residence, or when the homeowner sells the property. Until one of those things happens, how much the borrower pays and when… is totally up to the borrower! How cool is that? Now, I can’t wait to turn 62… I’ve only got nine years to go. So, let’s re-cap quickly, just to make sure everyone’s got it… the 64 year-old woman I spoke with that day, could go out and buy a home for $625,500… put just $310,765 down, and by financing the balance of $339,021, through HUD’s new older-buyer assistance program, design her own mortgage from there… or decide to make NO monthly mortgage payments for the rest of her life, pursuant to the various other rules of the program, of course. And yes… it’s an FHA insured loan, so the buyer is required to pay mortgage insurance of 1.25% a year, but so what? That seems a very small price to pay when you consider that this is a mortgage that doesn’t have to re-paid on any specific schedule, and doesn’t become due until after her death. Think about it… even if she were to get into financial trouble again, God forbid… as long as she could cover her property taxes, insurance and normal maintenance, she could never lose her home to foreclosure. 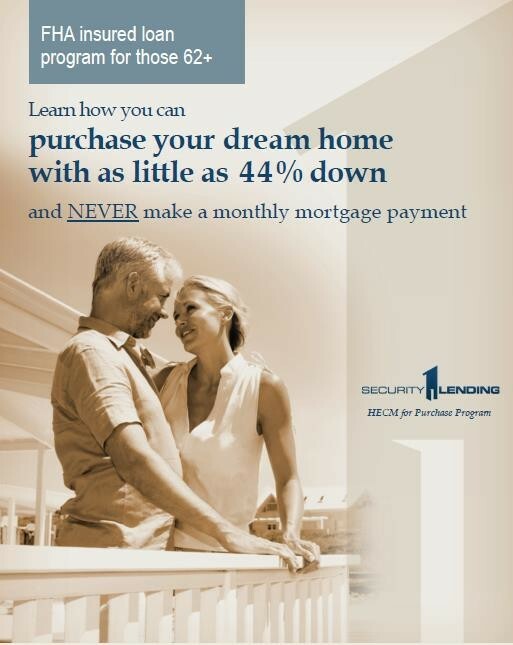 I simply cannot think of any mortgage program that’s better than that… nothing close, actually. If you can… I want to hear about it immediately… but I’m certainly not going to sit by the phone because I don’t expect it to ever ring. Now, you tell me… why doesn’t every single Realtor in the country know about this older-buyer assistance program from HUD? I know it’s relatively new… since 2009… but that’s still five years ago. How long should it take for news of such an important program to spread in this country? You see, many of my older neighbors were trying to sell their homes in 2006, when the bubble was coming to an end, and since the values of their homes has fallen, they’re still sitting in their homes, hoping the market will come back so they can sell and move into something that’s better suited for their lifestyle in retirement. Well, with this program… they don’t have to wait for a comeback… they could be living on a golf course in Palm Springs right now. Sure, they’d sell for less than they were hoping to in 2006, but they’d only have to put 25-50% down, depending on their age, and finance the rest through HUD’s new program, so they’d have no mandatory mortgage payment and would be able to design their own monthly payment program, whether interest only or fully amortizing. Or, do you like it less now that you found out its name? That’s pretty silly, all right… to not like the program because of its name… because you heard some rumors about something, or read some negative press. And… you didn’t know you could use a reverse mortgage like that? Yeah, well I’m sure that’s true. In fact, my guess would be that there’s a whole lot about reverse mortgages you don’t know… this is just one of the many ways people over 62 can use a reverse mortgage to do something during their retirement years that they might not otherwise be able to do. I’d bet that I could think of a few dozen others that you haven’t considered either. When a homeowner wanted to use HECM FOR PURCHASE program, Realtors would clearly benefit from getting a listing and probably a purchase too, assuming the homeowner is planning to stay in state. And it should go without saying that many people over 62 could benefit tremendously from the program when moving to their next home. 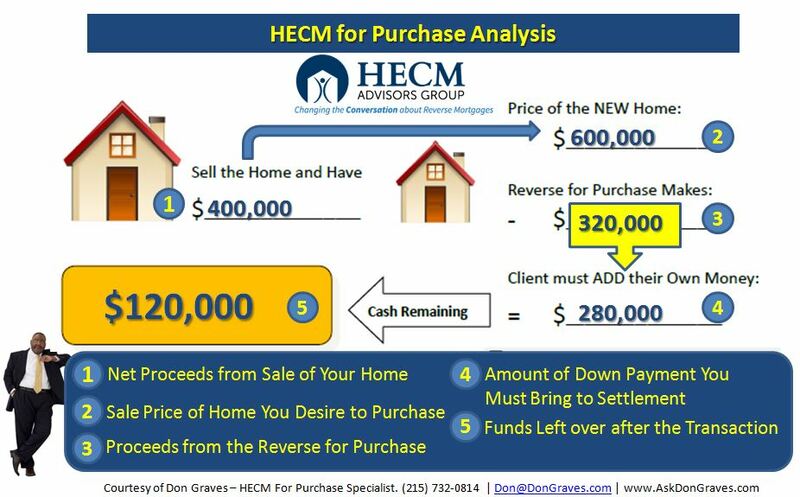 Now… do you see how ridiculous it is that so few Realtors know anything about the HECM FOR PURCHASE program? I should hope so.